Some champions spend years working toward their goal of becoming the best. Others? 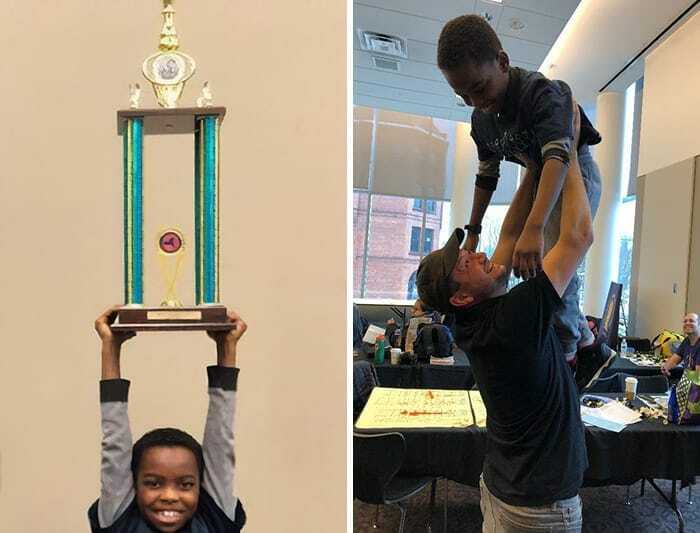 They put everything they have into becoming a champion in an unbelievable amount of time as one 8-year-old refugee was about to prove. Tanitoluwa, or Tani as he is now known, was just six years old when he mom and dad, Kayode and Oluwatoyin Adewumi, knew they needed to leave Nigeria as they feared for their lives. Although they landed in New York, the family have been forced to live in a homeless shelter ever since. 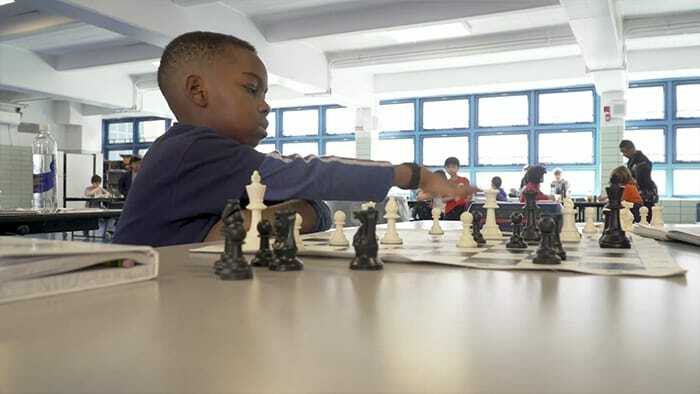 It wasn’t long before Tani enrolled in a local school and decided to try his hand at chess. The youngster fell for the game, and it wasn’t long before Tani was begging his mom to join the chess club. Thankfully, Oluwatoyin agreed, and it wasn’t long before she was taking her son to practice every Saturday. Tani practiced in the club and on his father’s laptop as soon as he was finished with school, but things weren’t looking hopeful. The young student entered his first tournament. However, Tani received the lowest rating of anyone in the competition. Thankfully, his determination meant he was about to go a lot further than anyone ever believed. The youngster returned for another tournament, and this time it looked as though things were about to go his way. Tani soared above the rest of the competition and ended up walking away with first place thanks to his undefeated run! Now? Tani has a trophy almost as big as he is thanks to his efforts. Russell Makofsky has been training Tani for the last year and says that he has never seen improvement like it. Now, the coach wants to help the family in any way that he can. Russell has set up a GoFundMe page to help the family move into their first house in New York and has already been able to raise over $180,000 as a result. Moving to New York was a new start for the entire family. Thankfully, Tani has been able to prove that with plenty of dedication, we can make our dreams come true – no matter the early chapters of our lives.